Did you mother force you to eat broccoli as a child? Did you hate it? Perhaps you ate it only as a 'little tree' smothered in ranch dressing. As a grown up, are you giving some thought to eating better? Now that you're making your own choices in life, you should give broccoli a second chance. For many folks, broccoli is a 'go to' vegetable choice, and for many healthy reasons too. There's no need to stick with the 'little tree' option when there are so many ways to enjoy broccoli. Broccoli is first of all a super food full of vitamins, fiber, folic acid and calcium. 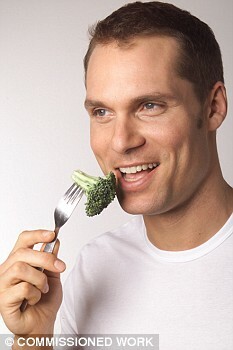 Eating broccoli helps you maintain strong bones, as well as reducing high blood pressure. There are many other conditions that this wonderful green veggie helps eliminate or control. We've discussed here how great broccoli is for your body, so why are you still sitting there doubting whether or not you can stand to eat it? All you really need to do is find some tasty ways to prepare it. Lots of people love to simply steam their broccoli and enjoy it as a dinner side. Don't over cook your broccoli or you'll lose most of the nutrients, ending up with a limp green mass. Kind of negates your reasons for incorporating it into your diet. Slightly crunchy is best; tender and still bright green. One favorite method is to steam and then add some cheese. Cheddar is great, but even some of the processed cheese that melts easily is quite tasty, and you're still getting the benefits of the vegetable. You can add broccoli to soups and stews as well. Broccoli tastes great combined with cauliflower and or carrots; drizzle melted cheese over the top and yummy! Do you like baked potatoes? Then top yours with broccoli and cheese with a dab of sour cream. Delicious. In a large bowl, combine broccoli, soup, 1 cup cheese, onion, Worcestershire sauce and pepper. Pour into a greased slow cooker. Sprinkle crackers on top; dot with butter. Cover and cook on high for 2-1/2 to 3 hours. Sprinkle with remaining cheese. Cook 10 minutes longer or until the cheese is melted. Now that you've discovered there's no need to fear broccoli any more, go out and yourself a nice head of broccoli and treat yourself to a healthy and delicious meal.